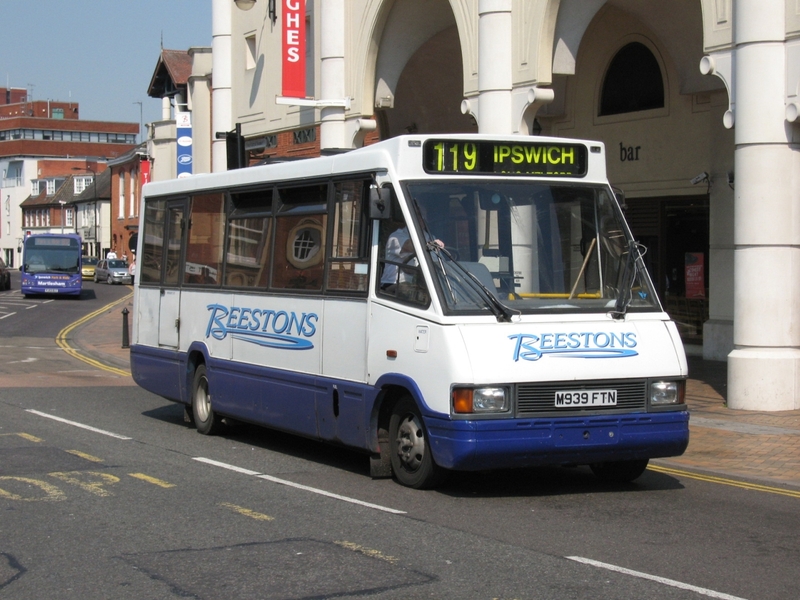 The next in our Revisited series goes back to 2006 and a trip to a sunny Ipswich in June of that year. Armed with my trusty Canon Powershot S80 I drove down the A12 to capture the latest happenings in the Suffolk town. 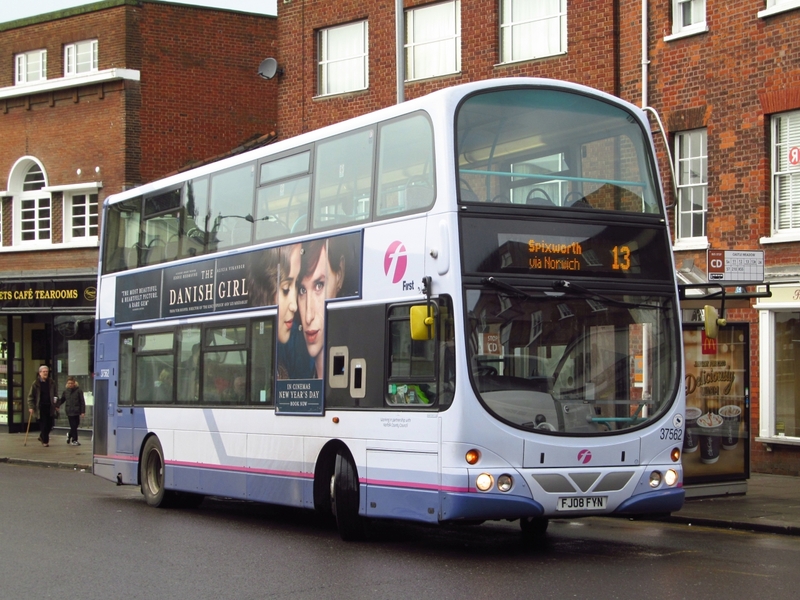 First up is Beestons of Hadleigh's Optare Metrorider M939FTN working the 119 service into Ipswich. 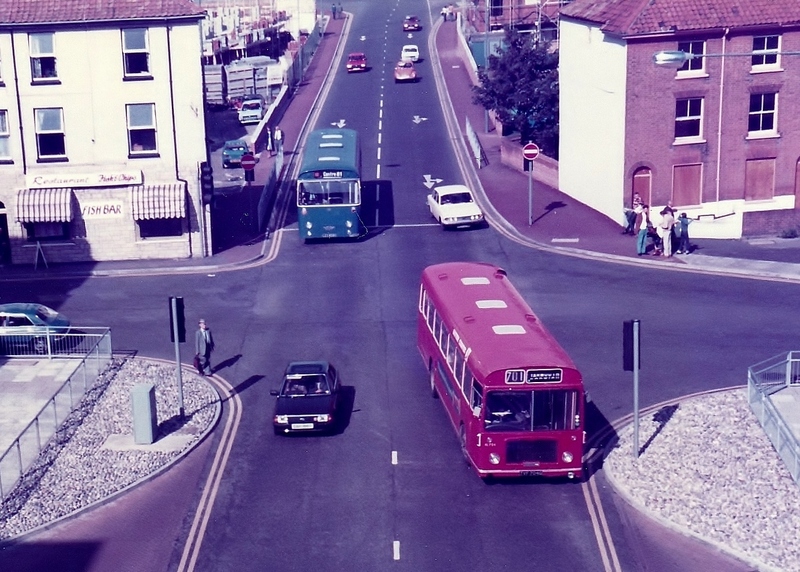 It was new to Sunderland & District which became part of Go North East. 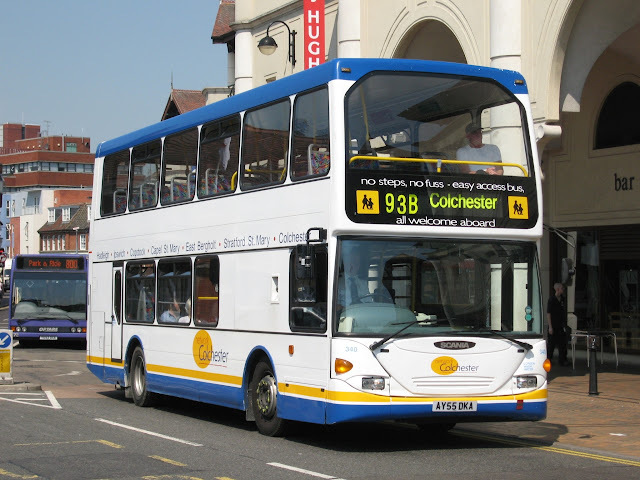 It left Beestons in late 2006 and passed to Zeebus in Canterbury. Next up is Network Colchester Scania Omnidekka AY55DKA, new in 2005 the vehicle was operated by Tellings Golden Miller who took over operations of Arriva Colchester in 2004 and set up the Network Colchester brand under the control of Burtons Coaches, the operations were then sold back to Arriva in 2008 but continue under the same name. 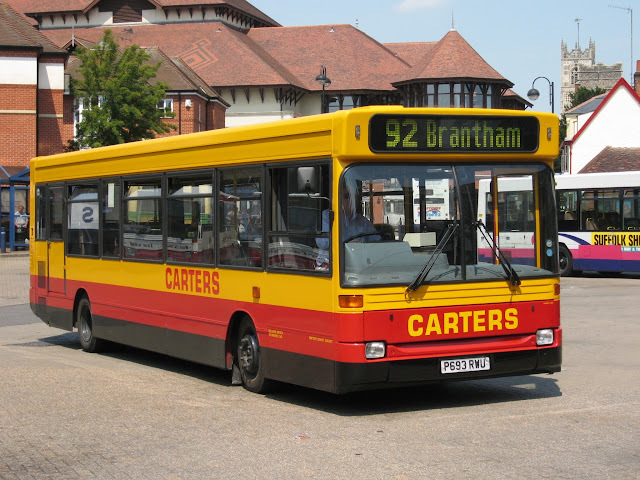 Another local operator working into Ipswich is Carters of Capel St Mary, owned by local enthusiast Viv Carter, the fleet is ever changing and still going strong today. 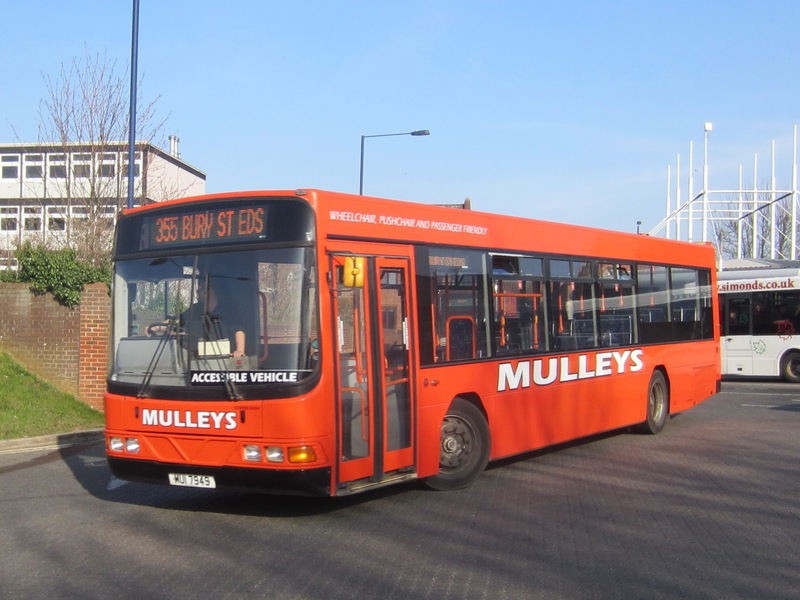 Pictured above is Dennis Dart SLF P693RWU which was new to Armchair of Brentford. Finally its a vehicle that ended its career back here in Great Yarmouth. 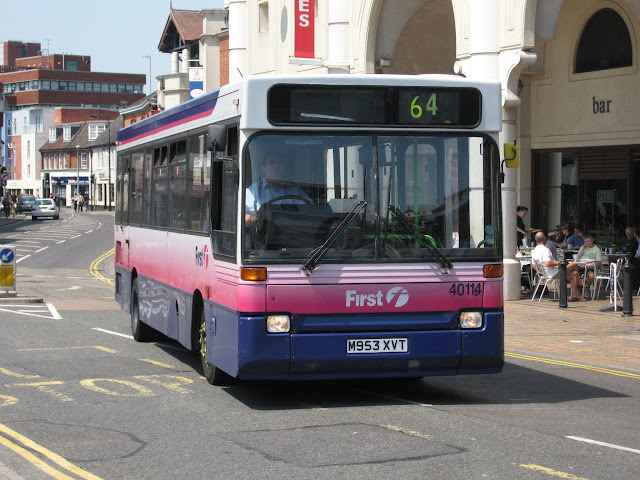 Former First Potteries Dart 40114 M953XVT transferred to Ipswich in 2006 before moving to Yarmouth later that year. Its pictured here working the 64 service from Aldeburgh arriving at the Old Cattle Market Bus Station. 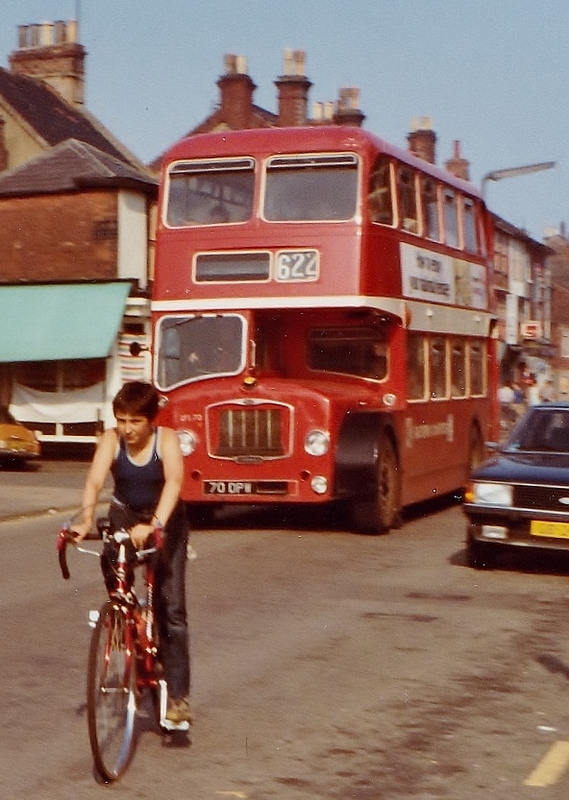 The 22nd September 1983 was one such occasion when I had the camera with me, but I wanted a different vantage point. How about the top of the Market Gates multi-storey car park? After climbing the many steps to the top, I got a reasonable view of the comings and goings. 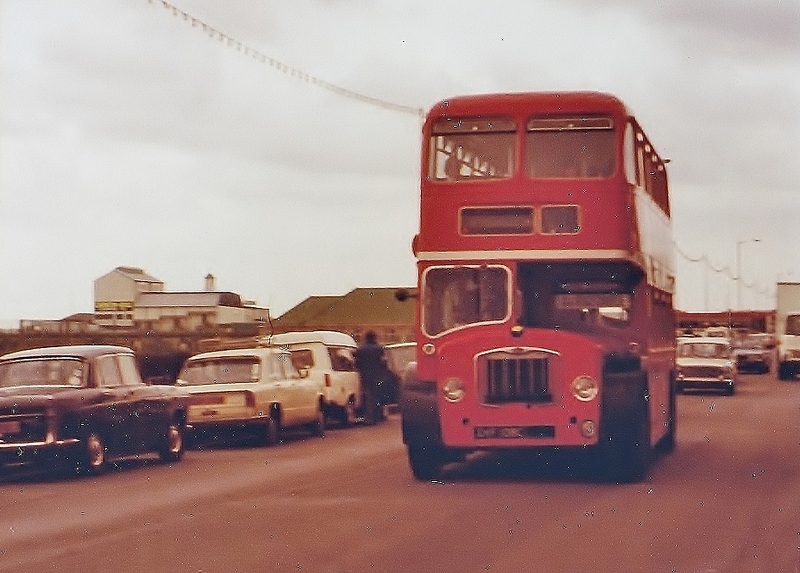 The simultaneous approach of an Eastern Counties single decker and a Great Yarmouth Transport liveried bus was a photo opportunity not to miss. 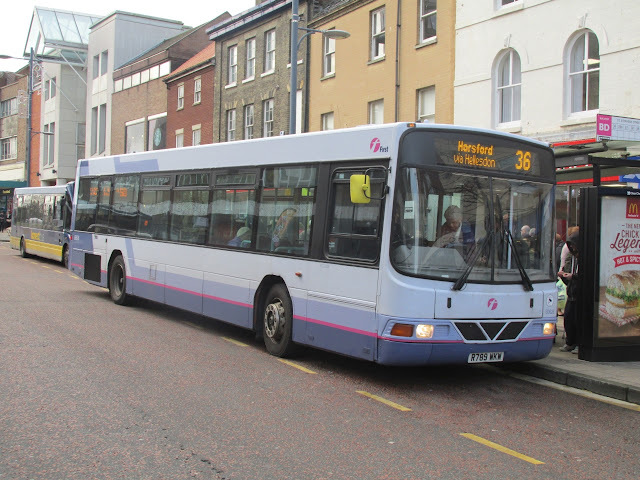 With not much out of the unusual happening, I initially thought I would prepare a post relating to Wednesday operated services in Great Yarmouth but ended up reporting more than that! I was fortunate in being able to capture photos of the last two mentioned operators but, with the light deteriorating rapidly, there were no pictures to be had of the First operations - maybe next time! As I didn't have my camera with me I had to settle for photos taken with the phone - so apologises for the picture quality. Plus I also had to ensure that the advancing hoards of students didn't appear in front of the subjects! I have been going through my photo collection and putting them in some sort of order and with that the idea of producing a few posts based on the days out i have had over the years. Anglian 400 X228WRA on the 588 to Halesworth. The first photo is Anglian Optare Excel X228WRA which was quite new to the area when i saw her in the city, new to Trent in 2000 she became 400 in the fleet before being withdrawn in January 2013 with Fire damage to the rear. 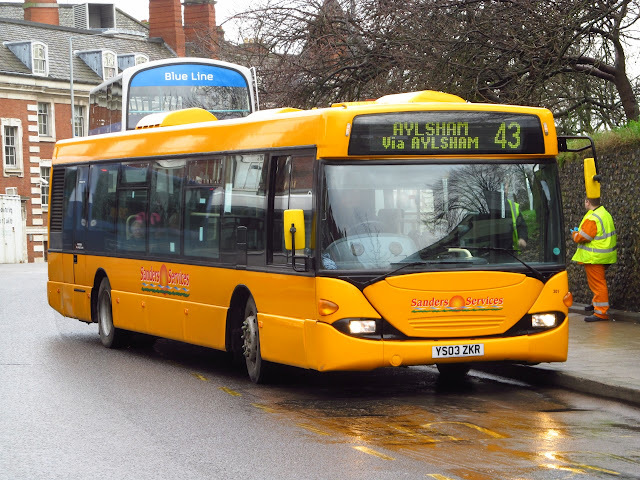 Norfolk County Council YJ55YHL in Castle Meadow. 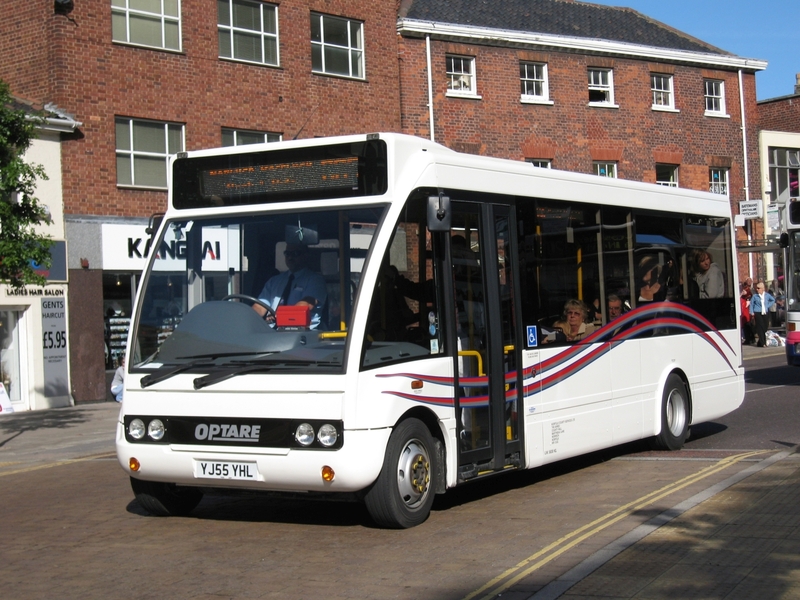 Another vehicle which had a short stay in Norfolk was Optare Solo YJ55YHL which was new to Norfolk County Council for use on their 600 shuttle service between the city and County Hall. The vehicle remains in use today with Gibsons of Renfrew in Scotland. 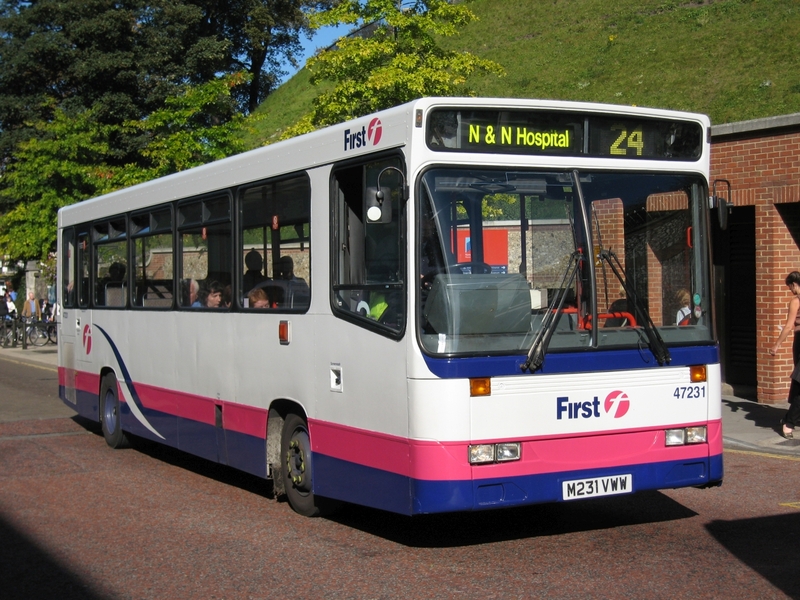 Freshly repainted 47231 M231VWW outside Castle Mall. 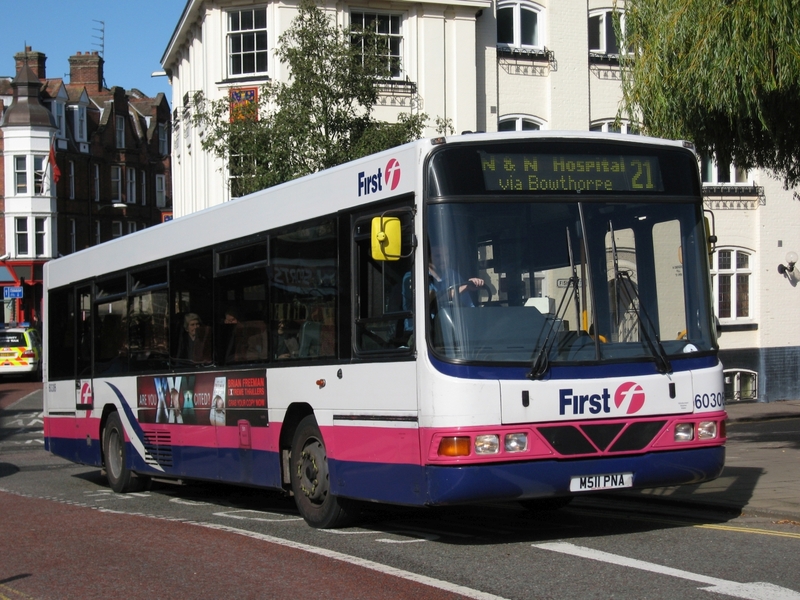 Firstgroup was going through a major repaint program in this year with vehicles being repainted out of the shortlived Barbie 2 livery with the pink fades. 47231 (pictured above) had moved from Great Yarmouth and i luckily got a sunny shot of her after repaint. 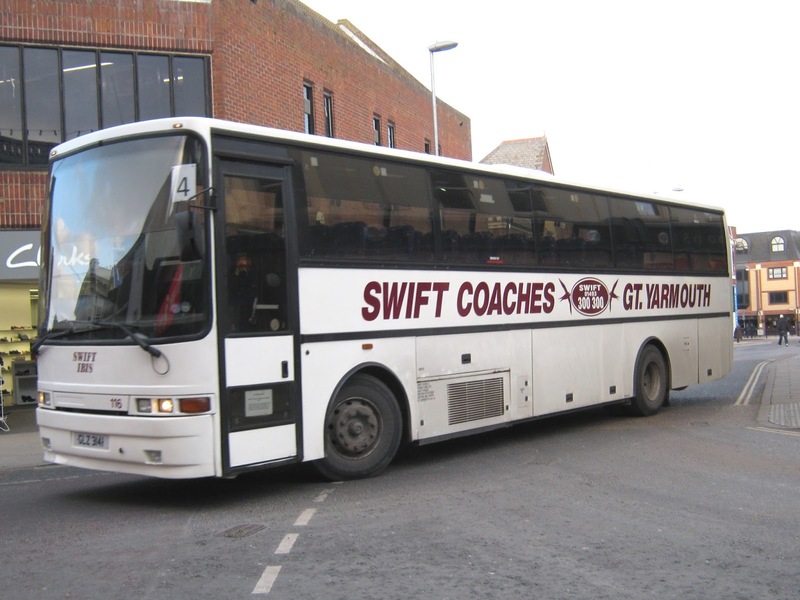 Recent arrivals at Norwich were a batch of Volvo B10's from Manchester, they moved on to Lowestoft during their stay with FEC also. 60306 M511PNA going over Fye Bridge into the city. Sanders had recently aquired a batch of DAF/East Lancs single deckers from Luton Airport Parking and were used on a variety of routes, W262CDN is pictured working the 44 into the city from Cromer. 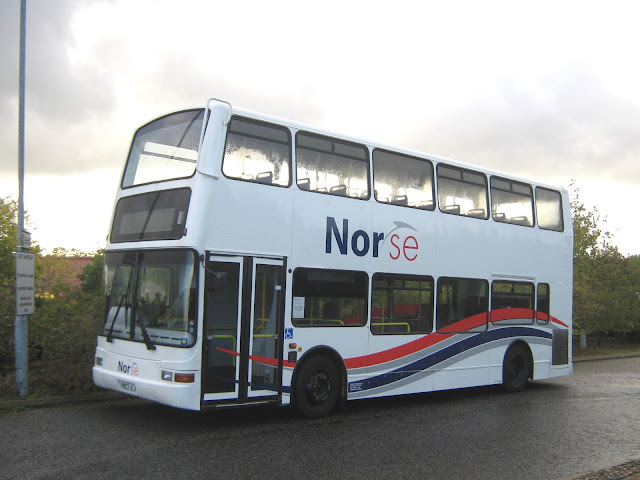 The next breakdown was when the Scanias (including 410) were on the 123 route. It started making some weird gearbox noises going through Rackheath and I thought nothing of it at first. Arriving at the mini roundabout, just before the garage, I lost all gears so I let her roll around the corner into a layby. This resulted in tow in number 2 meaning a gearbox replacement. The next happened some three months later, as I was leaving Salhouse towards Norwich in R86EMB. Again strange gearbox noises started being heard but I carried on as there were no warning lights etc. I got as far as the Anglia Television building on Rose Lane. 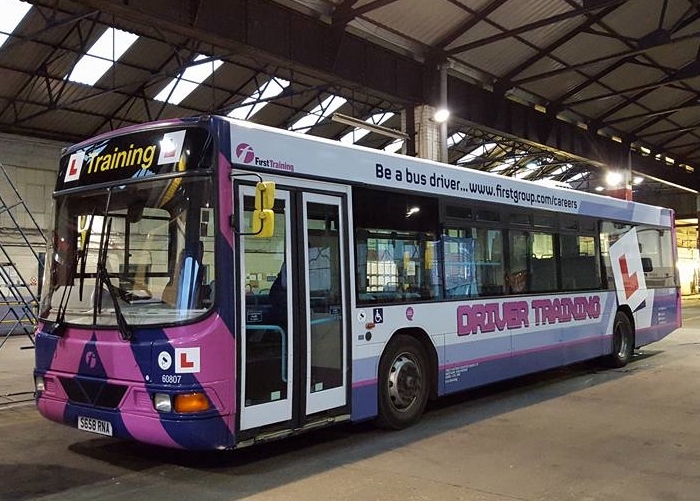 Whilst trying to accelerate up the hill, I started to roll backwards towards the bus behind and I just managed to get the handbrake on quick enough! The fitters came out and looked at the wiring etc, but still couldn't get her to move so this meant tow in number 3. The next day the operations manager passed me a photo showing the main shaft inside the gearbox was completely twisted and broken - I wasn't too popular that day! 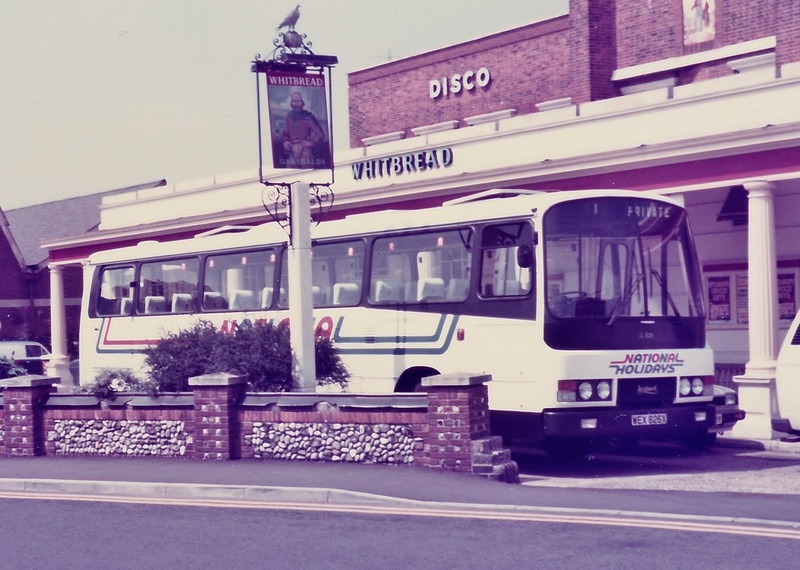 However, I did like to drive them and put them through their paces and I would always swap buses with another Rackheath driver, even on route, just to get one of them old Scanias. Although I considered number 410 to be my jinx bus! Saturday meant a flying visit into Norwich City Centre with the other half needing some shopping therapy. This allowed for a couple of short periods of observing activity in the city centre. 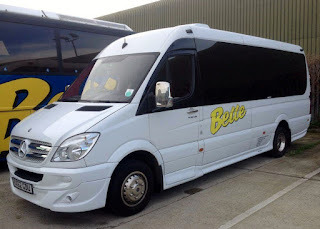 We travelled in from Thorpe on one of the new StreetLites with 63321 dropping us off in Castle Meadow where we headed for the market for a cuppa and a roll on Reggie's tea stall! The second session brought more interest though with my first sighting and photo of a Stagecoach liveried decker in Norwich. 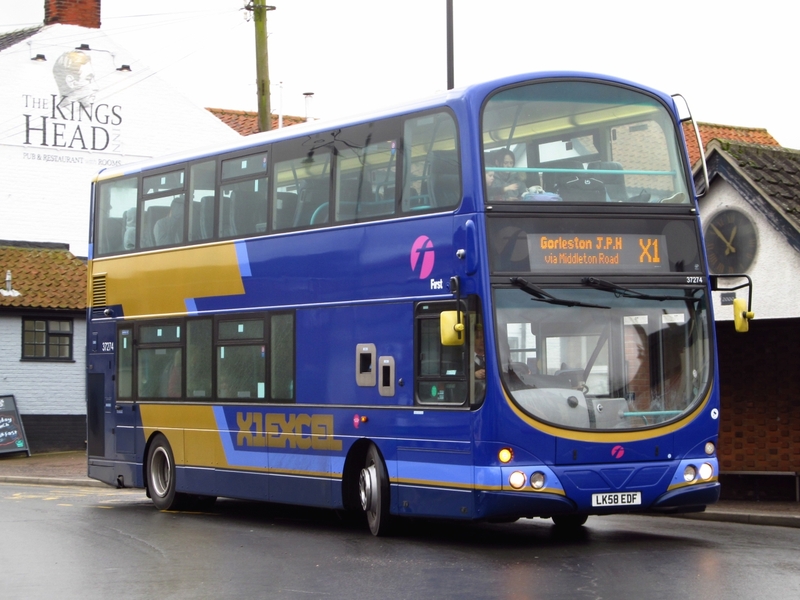 It was former Cambridge based ADL Enviro400 bodied Trident 18342 AE55DKF on the X29 from Fakenham. 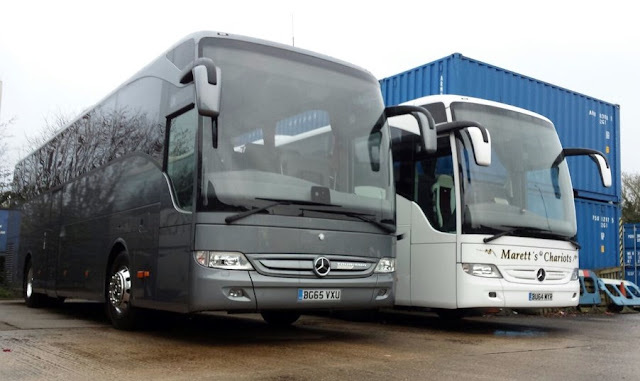 This week's bus and coach industry magazines are reporting that the group have just placed the UK's largest order for Mercedes Benz Tourismos for the second year running. 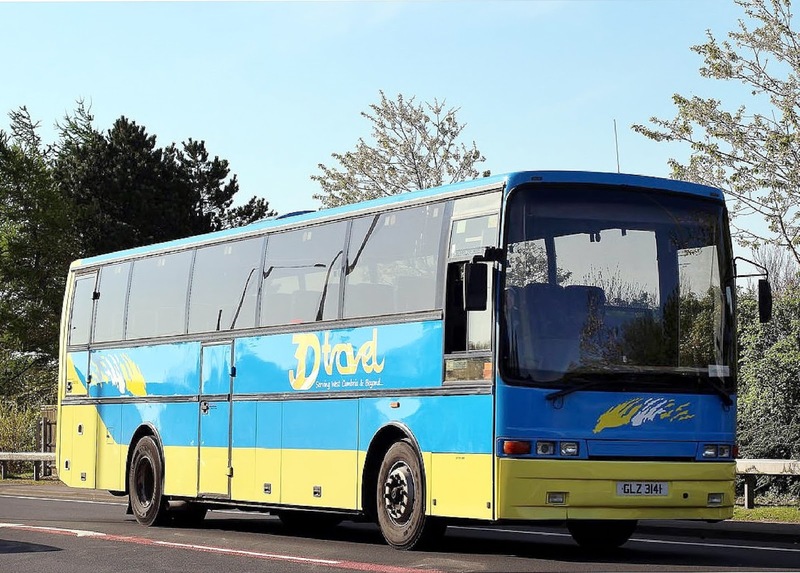 Local operator Border Bus features in this week's Bus and Coach Buyers magazine as founder and managing director Andrew Pursey finds a solution to the pending PSVAR legislation. My first trip of 2016 to the city yesterday to catch up with the latest arrivals and repaints for the local operators. 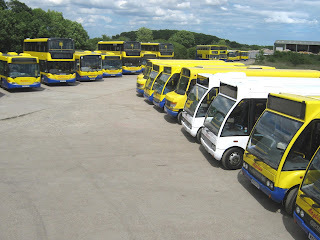 I travelled up to Norwich using my usual route, drive to Acle from Ormesby and then the X1 into the city. My timing was superb (for a change!) 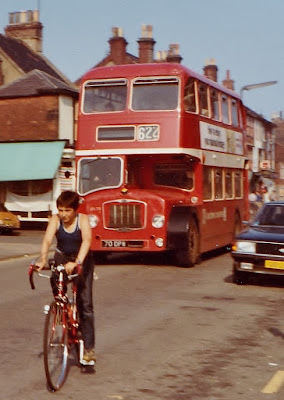 37573 arrived just as i had reached the stop and we were off. First South Yorkshire loanee 60626 R789WKW in Castle Meadow. First sighting in Castle Meadow was recent arrival from Rotherham, 60626 which was working the 14 service or Green Line to Wymondham, usually worked by the batch of new Streetlites here. I was looking to photograph the Orange Line vehicles which had recently returned from refurb, i managed all bar two, one was parked up at Vulcan Road with the other, 33150 currently at Yarmouth for MOT. 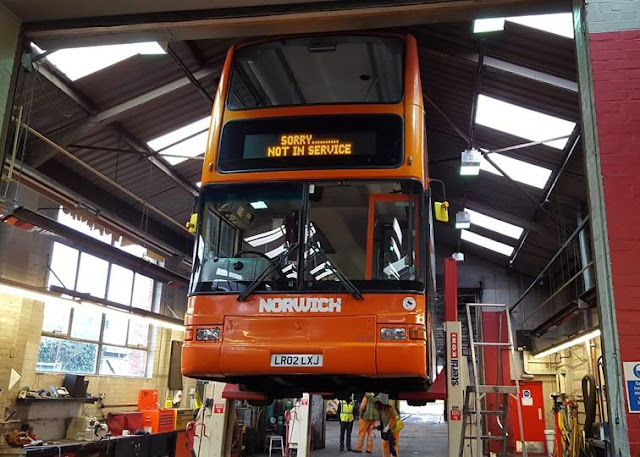 The first Yellow line liveried Double Deck had returned to Norfolk overnight, 32106 LT02ZCV is now being prepared for service at Vulcan Road. Sister 32105 LT02ZCU has now headed North in its place to join 32107 at Rotherham. 37562 FJ08FYN working the 13 route to Spixworth. Recently repainted & refurbished Sanders Scania YS03ZKR was out on the 43 service from Aylsham and duly photographed along with a couple of the DAF/VDL single decks i still needed to see. Sanders 301 YS03ZKR in Castle Meadow. A good couple of hours with the camera was had and got me pretty much back up to date bar a couple of stray Oranges! I wandered back up to the Bus Station to be greeted by recent arrival from Slough 37274 LK58EDF laying over before heading back to Gorleston, so i would get to see what all the fuss is about regarding the Leather seating and all the other mod cons these ex Greenline vehicles provide!. I bagged an upstatirs seat (with table!) and headed back to Acle, very comfortable and also very warm i have to say. 37274 leaves Acle Kings Head behind and continues on to Yarmouth. 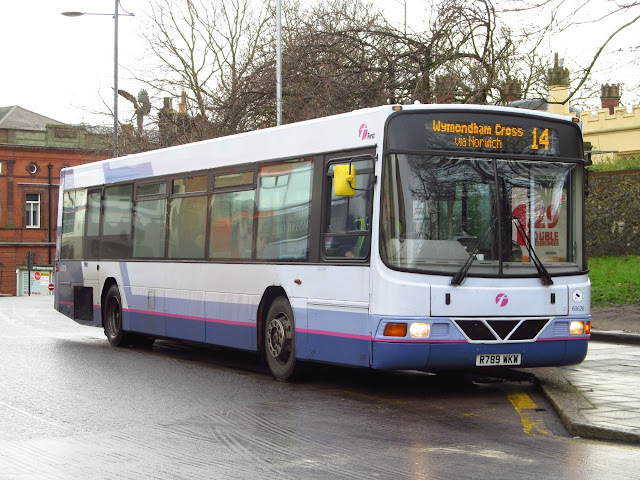 Twitter followers of the blog will have seen that First Eastern Counties Olympian 34111 W431CWX returned to active service (again!) 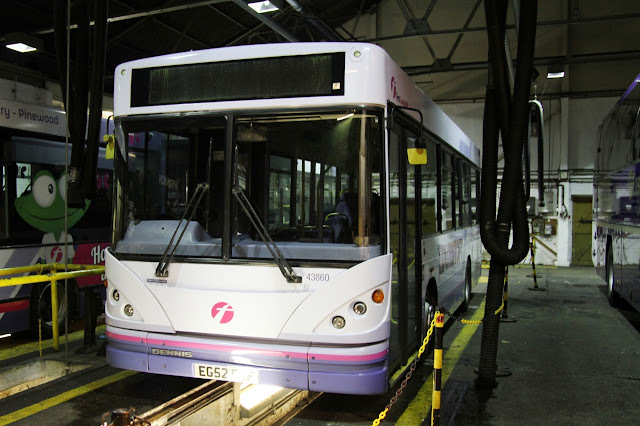 yesterday after being withdrawn in late December. 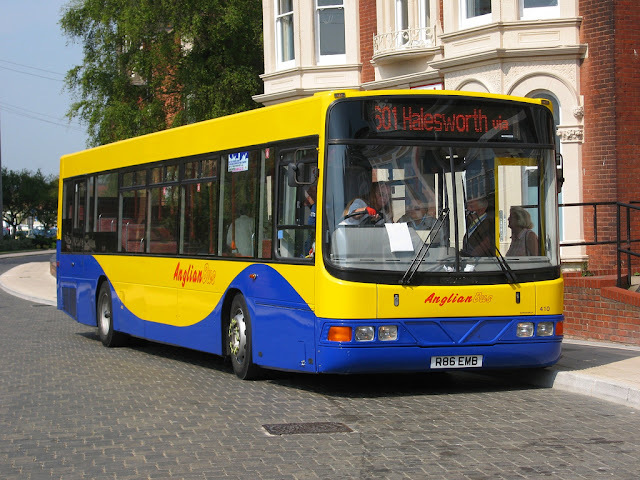 The Neoplan bodied Dennis Javelin was acquired with the Amza of Blofield business during December 2009. Swift subsequently named the coach Swift Goldcrest and gave it the fleet number 136. The Javelin was previously registered as Y83LJO when new to Pearce of Berinsfield, Oxfordshire in May 2001 and it still retains the Pearce stripes on her bodysides. The operator is also cancelling a number services operating in the area to take effect from 22nd February 2016. 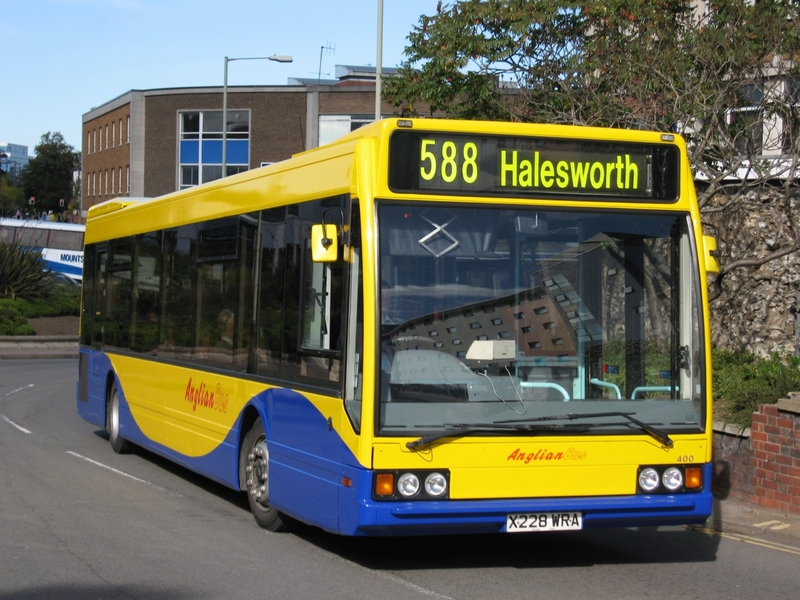 These include the 85 between Loddon and Norwich and the 86 between Beccles and Norwich Bus station. Both are provided under contract to Norfolk County Council with Simonds becoming the new operator. Others to go comprise part of service 7 between Great Yarmouth and Lowestoft which will see the route revert to its original Great Yarmouth to Norwich service. 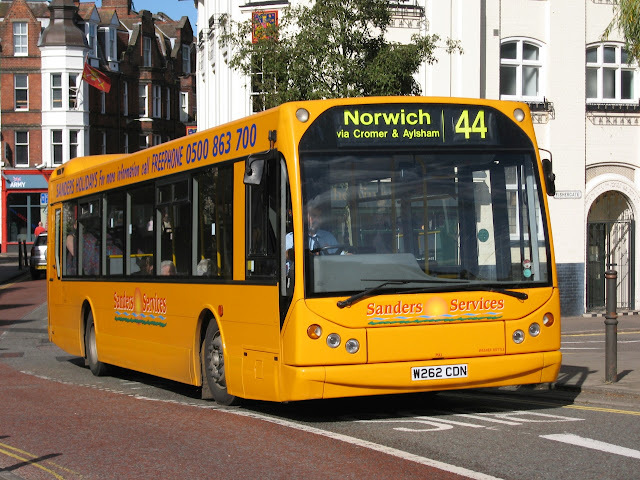 The 61 between Wrentham and Southwold will also be axed. Well first may i say a very happy new year to all our readers and welcome to January! Our first offering for 2016 sees a bumper crop of movements for Eastern Counties. We begin with Lowestoft where the four remaining Caetano bodied Darts (43859/60/67/68) have all left Suffolk bound for Cornwall. 43860 only managed as far as Ipswich where it had an overnight stay before continuing its journey south today. 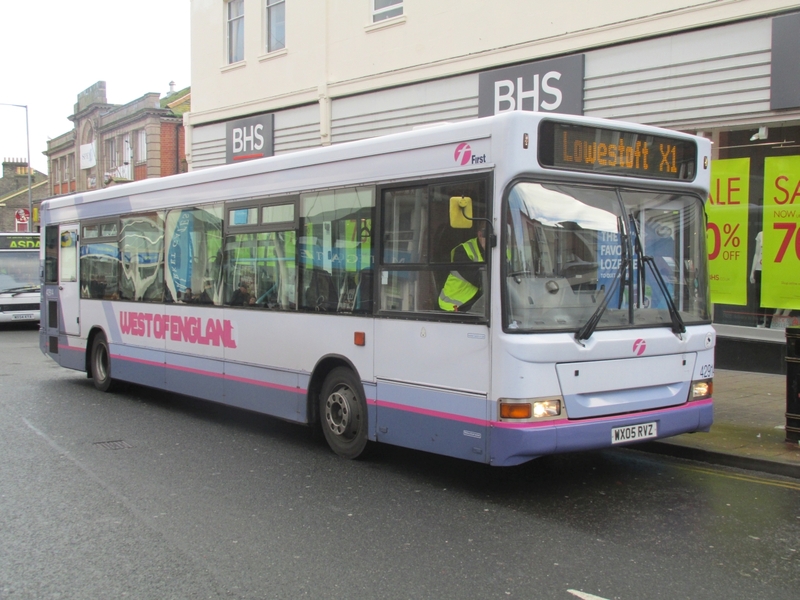 Two more ex First Bath Darts arrived at Lowestoft on Sunday in the shape of 42914 WX05RVZ & 42938 WX05SVD. 42914 is the only one of the recent additions in the latest Olympia livery still wearing West Of England names and was noted out in service this morning on a very unusual allocation for one of its First duties! Onto Norwich where newly arrived Volvo B10BLE 60626 R789WKW has now entered service and was noted in use on the 36 route today in the city. Finally its back to Yarmouth where another Olympian has been collected by Alpha Recovery today and is now heading up to the North East for scrapping. 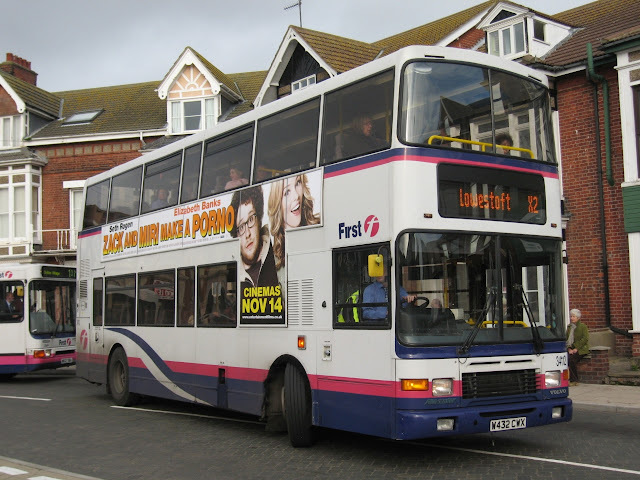 34112 W432CWX arrived with FEC in October 2008 and was allocated to Lowestoft before moving to Yarmouth in 2009. Our final piece of news is the confirmation that Volvo's 66168 & 66169 are withdrawn with 66168 heading for Rotherham for DDA conversion and to become part of the South Yorkshire fleet, 66169 is to be scrapped. 34112 in Gordon Road, Lowestoft November 2008. Many thanks to Chris and Danny at First for the information and to David Waters and Jim Long for being in the right place at the right time for the Photos supplied.